Dell is one of the best manufacturers of Laptops in the world. Every time the company has came up with something impressive and innovative, and never lets down the expectations of customers. 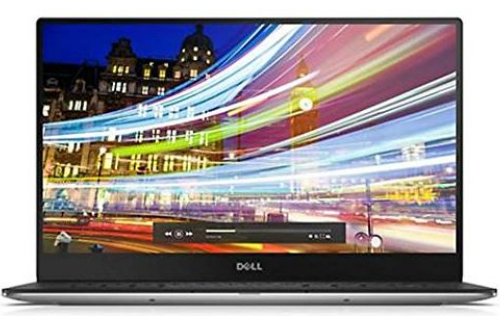 In the beginning of this year, Dell has announced the release of Dell XPS 13 2- in- 1 laptop. 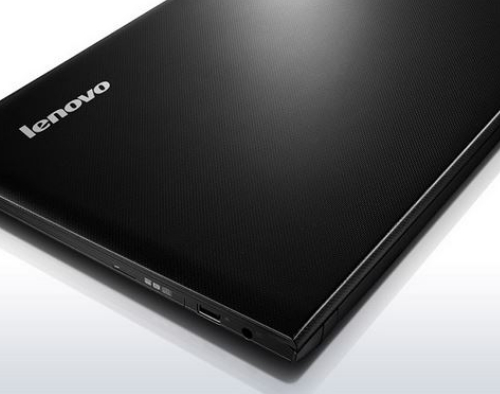 What is interesting about this laptop is its new updated 2- in – hybrid notebook design. This new hybrid design allows it to be both a laptop as well as a tablet. So, essentially, the previous Dell XPS 13 was just like conventional notebook, but the new version is going to be a tough completion for other companies, since the extra hinges will allow the notebook screen to flip 360- degrees, thus making it completely fold over to back. The complete screen flip will allow you to use it either in a tablet form, or in tent form, or in a presentation mode, or if you want to stay traditional, then you can use it as a laptop as well. On the top of that the display is no going to be compromised, thus, giving you more or less a bezel- less display. 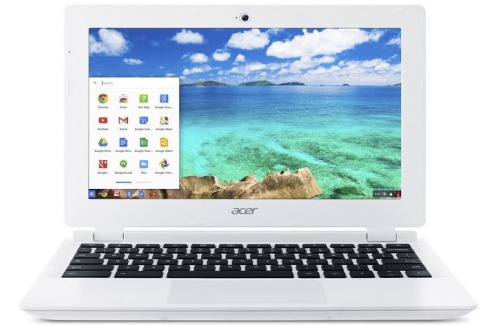 This almost invisible bezel enables the 13 inch size of the device to shrink to an 11 inches compact laptop. 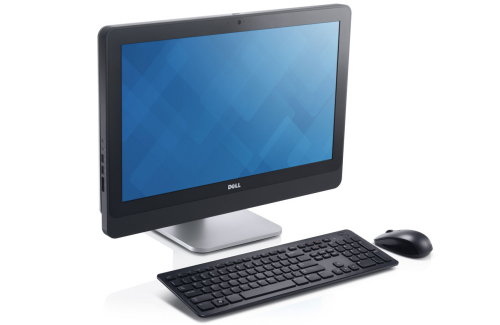 Dell is also giving you options to select between the two displays as per your requirements. Dell XPS 13 will be available in a Full High Definition (1920*1080 pixels) display, and a QuadHD (3200*1800 pixels) + Infinity Edge display. The webcam will be at the foot of the display, but don’t worry; it is going to be an upgraded version so that the notebook can be unlocked with face recognition. Apart from this, to get a finger print sensor option as add on will be your choice. 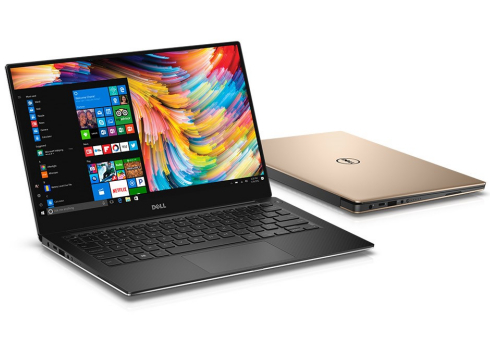 Adding to the beauty, the latest Dell XPS 13 is more slender, measuring 0.32- 0.54 inches of thickness as compared to the thickness of its predecessor which was 0.33 – 0.6 inches. It is also quite light, just weighing 2.7 pounds, again less than the previous model, and also less than the HP Spectre as well as the Lenovo Yoga 910. So, the new Dell XPS 13 2- in -1 comes in really handy. The 2 – in- 1 Dell XPS 13 has some changes in the ports section. Dell is providing two Type-C USB ports, and one of which would support Thunderbolt 3 port. These ports could be taken in use to charge the device or to connect as well as power up. The device will also include a USB- C adapter to ease the connectivity with older peripherals. Changes have also been made in SD card slot. The earlier version had the full SD card slot, but in 2017 model it has been replaced with a micro SD card slot. The RAM in DELL XPS 13 2- IN – 1 will be 8GB, which could be upgraded up to 16GB. It will also have the Hard Drive Size of 256GB, further expandable up to 1 TB. The hybrid Dell XPS 13 will have 1.2 GHz Core i5- 7Y54 Central Processing Unit, thus running on new 7th generation Intel Core vPro, and it will use Windows 10 for operating system. Keyboard is one of the most important parts, and Dell has made some changes there as well, since it has maintained 1.3mm of difference in the keyboard and touchpad. The price for Dell XPS 13 is not that high, but some people might think that it is not easy on pocket either. The price for the new Dell XPS 13 2- in- 1 is, however, less than the previous model, but it will differ according to your needs. In India it starts from approximately Rs. 68,000 (almost $1,000). So, if you still think that the price is higher then, with such great features and specifications it is worth spending money on. The only problem is that its battery life is a little less than the other models, but nonetheless, the new Dell XPS 13 has everything for your comfort, and still making your computing needs faster.